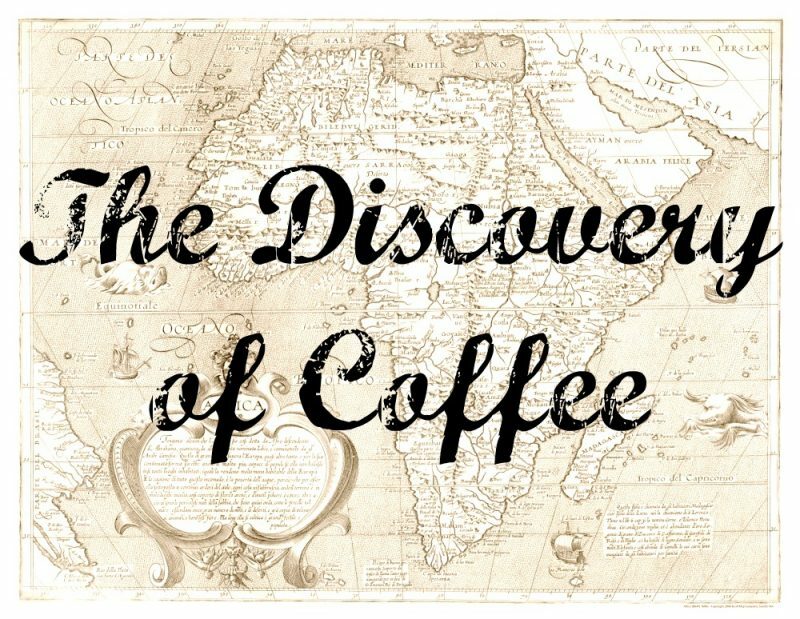 We’re back with our second post in our Coffee 101 Series: The Discovery of Coffee! Coffee has a long and interesting history, including dancing goats, smuggling and bouquets of flowers spiked with coffee seedlings. Evidence of humans drinking coffee can be traced to the middle of the 15th century in Yemen’s Sufi monasteries. It is not known who actually discovered coffee, but there are several interesting theories and stories. One story credits the discovery of coffee to a Yemenite Sufi mystic who was traveling through Ethiopia. He noticed some very energetic, lively birds and decided to sample the red berries he saw them eating. He quickly felt the energizing effects of the berry. In the tenth century, coffee is said to have been eaten and fermented into wine. Ethiopian tribesmen used the coffee berries as an energy ball, crushing and mixing them with animal fat to sustain them on long journeys. The most colorful of all of the coffee origin tales is the story of Kaldi and his goats. Kaldi was an Ethiopian goat herder who was looking for a spot to allow his hungry and tired goats to graze. Instead of pasture, his goats came upon a bush with bright red berries, which they devoured. The goats began to behave strangely, some stories say they danced, others claim the goats wouldn’t sleep at night. All tales agree that the goats became very lively after eating the berries. In one version of the story, Kaldi eats the berries and then shares his discovery with the monks who use them to make a beverage so they can stay awake through their late evening prayers. In another version, Kaldi shares his discovery with less open-minded monks: they throw his berries into the fire, creating a delicious aroma. Curious, the monks take the roasted berries out of the fire and grind them before dissolving them in hot water, thus making the first cup of coffee. Regardless of which story is true (the story about Kaldi did not appear in writing prior to 1671, though the legend states the story took place anywhere from the 6th to 10th century), the image of dancing goats discovering coffee has become quite popular! Coffee’s rise to becoming the world’s most popular drink after water began in the Islamic world. Coffee was believed to have restorative powers and was used as a religious potion to keep Muslims awake during their evening prayers. Coffee beans, exported from Ethiopia, were grown first in Yemen before spreading across the Arabian peninsula. In 1720 the port city of Mokka was the global coffee trading center. As the Ottoman Empire grew, so did coffee’s range. Soon people in Syria, Egypt, and southwest Europe were enjoying the “wine of Islam,” so named because Muslims do not drink alcohol, but were permitted to consume coffee. Coffee houses quickly became popular meeting places. The first European coffee house outside of the Ottoman Empire was opened in Venice in 1645. 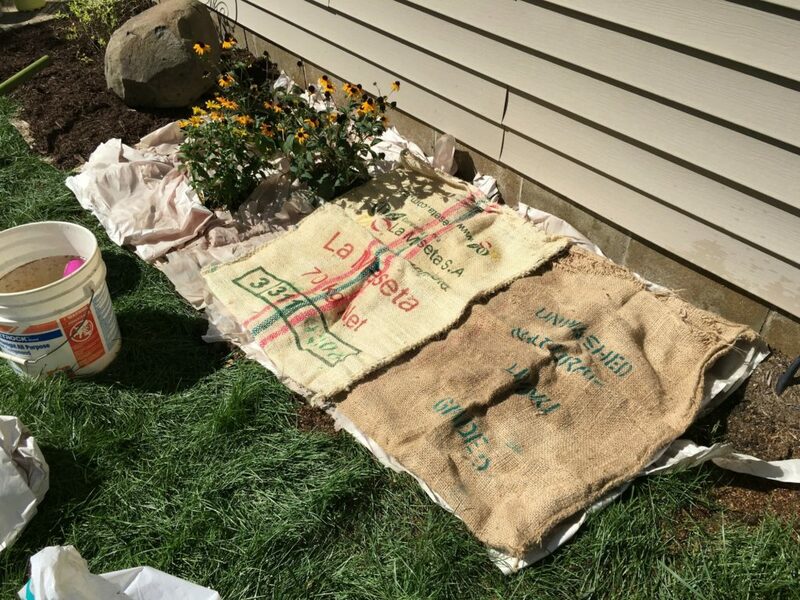 For centuries, coffee plants were carefully guarded. Exports of live plants or viable seed were strictly prohibited; only roasted coffee was allowed to leave Middle Eastern countries where it was grown. In order to become a widely grown and consumed beverage, coffee would have to be stolen and smuggled out of the Middle East. In the 17th century, some enterprising Dutch merchants managed to sneak some unroasted coffee beans to Europe where they grew coffee in greenhouses. 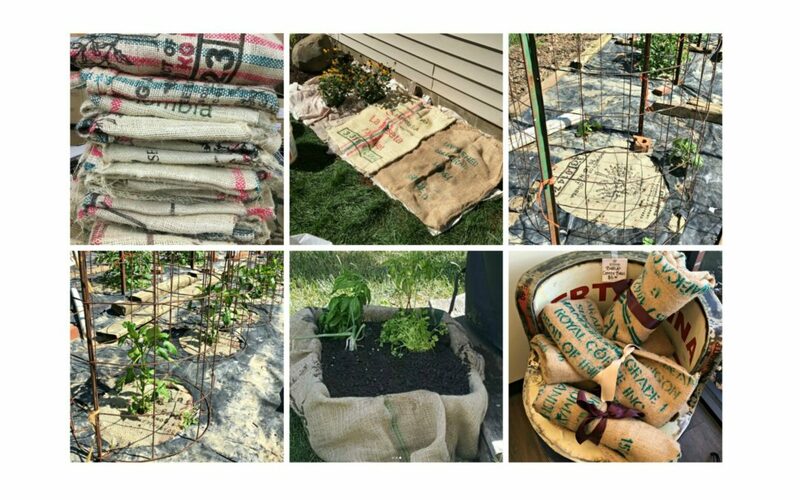 In the early 1700s, coffee seedlings were grown on islands in the Caribbean, as well as Brazil, Kenya, and Tanzania. Coffee reached Brazil in an interesting way. Portugal wanted to get in on the lucrative coffee market by growing the crop in Brazil. The King of Portugal couldn’t get coffee seeds from neighboring French Guiana due to tight border restrictions. The King sent Sergeant Major Francisco de Melo Palheta to settle the border dispute and secretly obtain coffee seeds. In order to get the coffee out of the country, Palheta had to get creative. He seduced the French Governor’s wife, Madame D’Orvilliers, who secretly gave him a bouquet laced with coffee seedlings before he left French Guiana for Brazil. Palheta is credited with planting the first coffee trees in Brazil in the state of Pará in 1727. Today, Brazil is the largest producer of coffee in the world, a position which the country has held since 1852. Coffee became popular in America after the Boston Tea Party in 1773 when it became unpatriotic to drink tea. Today coffee is consumed daily by 54% of Americans over the age of 18 (that’s about 100 million people!). Specialty coffee in the U.S. is now billion dollar industry with Americans spending 18 billion dollars on their favorite drink a year. Next, on our Coffee 101 series will discuss how coffee is harvested and processed. Stay tuned! Here at Winans Chocolates + Coffees, we brew three main types of coffees: blends, single origins and flavored coffees. Blends are a blend of different single origin coffees. For example, our Winans Blend features coffee beans from Colombia, Costa Rica, Indonesia and Kenya. Single origin coffees are from a single geographic region within a specific country, like Colombia or Costa Rica. Flavored coffees are made by adding flavor extracts to create specific aromas and tastes, like our Highlander Grogg which boasts a rich butterscotch and caramel flavor. We’d like to highlight one of our single origin coffees in this blog post, Malawi Mzuzu. This coffee comes from the northern region of Malawi, a country in southeast Africa. The flavor profile of this coffee is described as a clean, bright cup with notes of citrus and peach. Malawi Mzuzu coffee beans are grown by family farmers in the Mzuzu Coffee Cooperative Union. This coffee cooperative has 3,000 members, 25% of them are women. The cooperative emphasizes gender equality and strives to empower women through coffee farming. The co-op does this through their Women in Coffee Programme and focuses on improving access to land for women, encouraging women in decision making at cooperatives and promoting the employment of women in the cooperative. 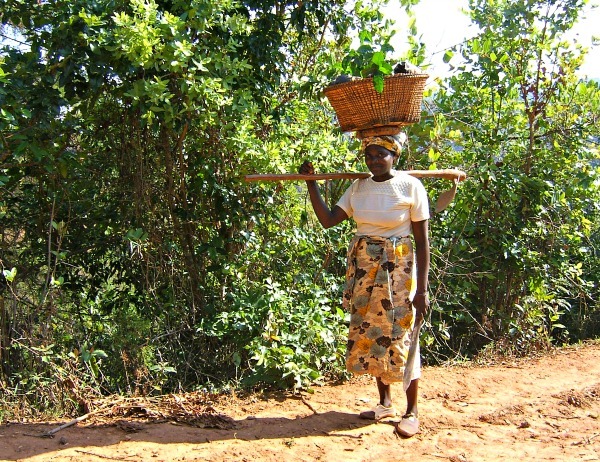 A coffee farmer with the motor bike she purchased with the proceeds of her coffee and women participating in co-op governance. The cooperative supports community improvement projects such as the construction of a hospital with the help of coffee premiums. They also work to improve the quality of life of their members through sustainable farming, production and processing. They promote Fair Trade certification and are working towards organic certification. The Mzuzu cooperative also works to make sure that their members have decent housing, adequate ventilation, three decent meals a day, clothing for the family, adequate bedding for the family and that children are sent to decent schools. The co-op also encourages farmers to be organized and commercially-oriented, many have diversified their farms to include beekeeping and growing wheat to supplement their coffee income. Winans is happy to roast coffees from the Mzuzu Coffee Cooperative Union, not only because the beans make a delicious cup of coffee, but also because the co-op works for bettering the community of farmers who raise this amazing crop. Winans would like to honor all the hardworking mothers who help make this co-operative a success in addition to what they do in their homes and communities every day. Hello! My name is Courtney, I’m the social media manager for Winans Chocolates + Coffees. I was fortunate to be able to attend the Specialty Coffee Association of America (SCAA) Expo last weekend in Atlanta, Georgia. This was my first time attending the expo and I was excited to learn and so happy to be traveling with Winans co-owner, Joe Reiser, our roaster, Brenda Cook, and our barista educator, Natalie Schaurer. During the expo I shared my experience on Winans Facebook, Instagram and Twitter accounts, using the hashtags #‎SCAA2016‬ ‪#‎WinansBehindtheScenes‬ ‪‪#‎WinansatSCAA2016‬. Now I’d like to share a little recap of my favorite moments as well as what I was able to learn at the expo. Tastings: I loved tasting so many types of coffee. I quickly lost count of the tastings I actually had! A lot was prepared in a way that I do not normally drink coffee: as a pour-over. It’s a different way of brewing coffee and I really enjoyed it! I tried numerous single origin coffees, as well as some fun new edibles, like sugar coating the rim of coffee drinks, smoothies, toddy (cold brew coffee), nitro (also cold brew coffee, but on tap like beer) and lots of chai tea. I also was able to sample coffee cherry tea. This tea, called cascara, is an herbal tea made from the dried husks of coffee cherries. It’s a popular drink in coffee producing regions. It reminded me of a rich, fruity, black tea. 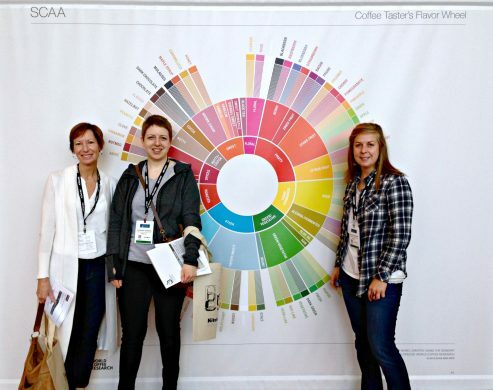 Meeting new people: I met so many new people at SCAA! It was fun to talk about coffee and to learn what others are doing in the industry. Getting to know my co-workers: I spent a lot of time with my co-workers from Winans. We talked about coffee, of course, but we also got to know each other by spending time exploring, watching the barista championships, and enjoying meals together. Lectures: I enjoyed attending lectures about coffee and marketing. Most of the lectures I attended were about marketing, communication or social media. My favorite lecture was led by Emily McIntyre and Jenn Chen. It was called “Successful Social Media Marketing Strategy: Audit, Plan and Execute for Your Coffee Company.” I left with a ton of great ideas which I can’t wait to put into action for Winans! 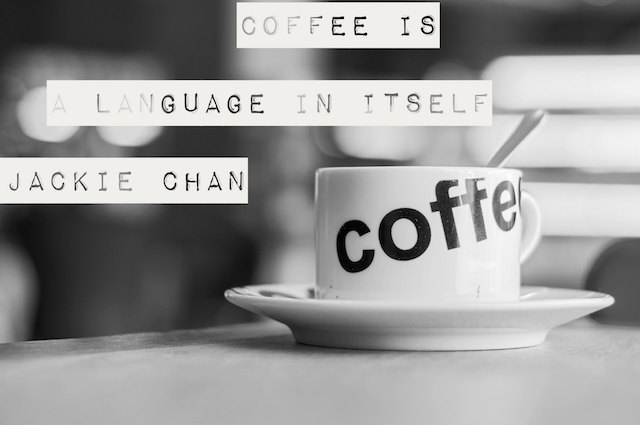 Coffee is multilingual: Because coffee is grown in the tropical regions, it makes sense to me that not everyone in the coffee industry speaks English. I just didn’t spend much time thinking about it until SCAA. The expo helped all of us with language barriers: many lectures offered Spanish translation and there were interpreters in the exhibit hall to help with conversations. I took Spanish for four years in high school, but my skills have definitely become rusty in the ten years since I graduated. Talking with Hispanic coffee growers and importers, I realized I want to brush up on my skills. And by brush up, I mean I want to be able to have meaningful conversations with the people who grow and import the raw material for my favorite beverage: coffee.  There was a woman I met at the IWCA (International Women in Coffee Alliance) that makes beautiful sculptures out of spent coffee grounds (borra). The company is called Hecho En Café and their creations are amazing! We spoke through an interpreter and I bought a coaster from her made of coffee grounds. Ohio is for lovers… of coffee: As I mentioned, I met a lot of people at the expo. What surprised me is how many fellow Ohioans I met! I attended the IWCA breakfast on Saturday morning and ended up being one of three Ohio ladies at our table of eight. I sat next to a woman from a coffee company in Perrysburg called The Flying Joe during a social media lecture. There were also Ohio coffee companies exhibiting at the expo. Go Ohio! There’s no limit to a life in coffee: I saw this phrase over and over again at SCAA and it really resonated with me. It speaks not only to the multitude of jobs available, but also to the diversity of people who work in coffee. From coffee farmer to exporter to roaster to coffee shop owner to barista to coffee writer to coffee marketer to coffee equipment manufacturing… it’s a global industry. I spoke with people from all around the world at SCAA and will continue to be in touch with many of them through my work at Winans. I want to learn more: this weekend taught me a lot of new, exciting and interesting things about coffee. It also showed me how much there is still to learn. I find this exciting, not discouraging! I love to learn and am excited to continue learning about coffee! Coffee 101: What is Coffee? We’re starting a series of blog posts here on Joe on the Go! to share one of our biggest passions with you, coffee! We’re calling this series Coffee 101 and we’ll cover everything we can think of related to coffee. From how to order a coffee or espresso based drink at Winans… to how coffee was first discovered… to how we roast coffee today. We’re excited to share our enthusiasm for our favorite drink and hope you are too! Let’s start with the very basics. What is coffee? Coffee means a lot of different things to different people, but not everyone knows where coffee comes from, or that a coffee bean isn’t actually a bean at all! The “bean” which makes delicious beverages enjoyed by many, is actually the seed of the coffee berry, called a cherry. Coffee cherries grow on trees in the Coffea species. Most of the coffee trees grown for human consumption are Coffea arabica and Coffea canephora var. robusta. 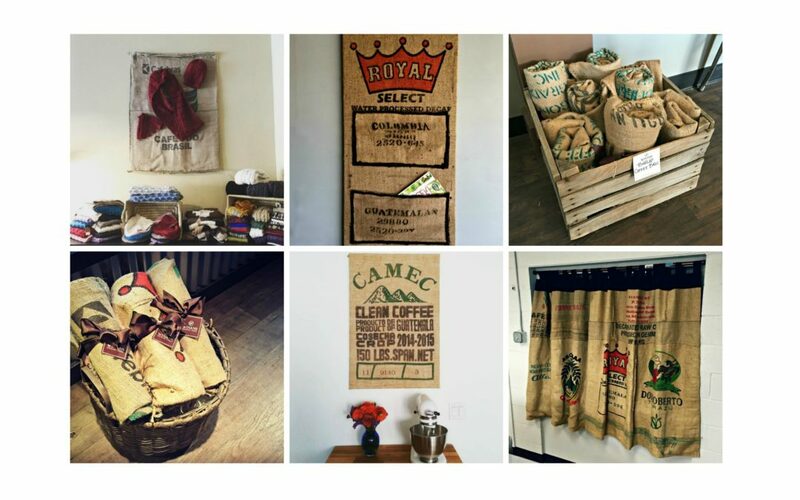 The beans used at Winans Chocolates + Coffees are arabica beans, as are 70% of the beans consumed worldwide. The majority of robusta beans grown are used to make instant coffee. Coffee trees are tropical, evergreen plants that grow in between the Tropic of Capricorn and the Tropic of Cancer (coffee connoisseurs refer to this area as the bean belt!). The trees do well in areas that receive 40 to 60 inches of rain per year and grow best between 1,300 and 1,500 meters in altitude. Coffee trees flower continuously throughout the year, so it’s common to see flowers, immature green fruit and bright red, ripe cherries on one tree at a time. The white flowers are sweet and fragrant, reminiscent of jasmine. It takes almost a year for a flower to develop into a cherry ready for harvest and it takes five years of growth before a coffee tree is in full production. Coffee trees can live up to 100 years but are most productive between 7 and 20 years. Inside a coffee cherry are two “beans” which are actually the seeds of the fruit. There are many layers between the outside of the coffee cherry and the two coffee beans inside! Each seed is covered by a thin membrane (silver skin), which is enclosed inside an endocarp (parchment). The paper-like parchment is surrounded by a slimy layer called the parenchyma which is covered by the mesocarp. The mesocarp is covered by the outer layer of the cherry’s skin, called the exocarp. All of these layers: the exocarp, mesocarp, parenchyma, parchment and silverskin must be removed before the green coffee beans can be roasted for human consumption! When we say there are a lot of layers between the cherry and the bean – we mean a lot of layers! As you can imagine, it takes a lot of hard work to harvest these cherries and turn them into the delicious brew we all love! We’ll cover more about coffee, including how it was discovered and how it is harvested, in future Coffee 101 blog posts. Stay tuned!